Loto-Quebec said four million-dollar tickets were bought in Gatineau, Terrebonne, Longueuil, and the Eastern Townships, but so far no one has come forward to claim the winnings. If you bought a lottery ticket in Quebec last fall, you could be sitting on an unclaimed million-dollar jackpot. 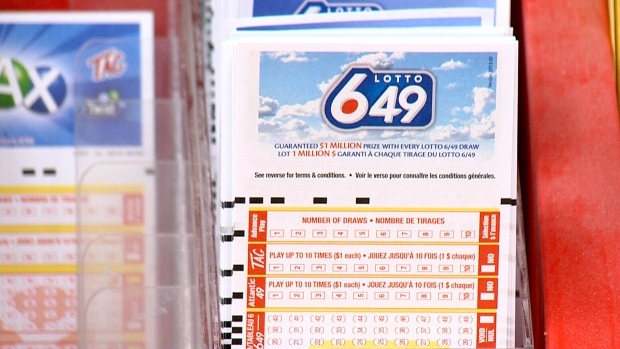 Loto-Quebec said Thursday that four million-dollar tickets were bought in Gatineau, Terrebonne, Longueuil, and the Eastern Townships, but so far no one has come forward to claim the winnings. Lottery officials said it’s not uncommon for winners to be unaware of their luck in a lotto draw. Last August, a man found a $1.7-million ticket he bought in December while clearing out his coat closet. Officials hope the winners will come forward to claim their prizes before the money is sent back to a winnings pool a year after the draw. Loto-Quebec lists all the unclaimed jackpots and corresponding ticket numbers on its website. The first unclaimed $1-million ticket will expire on Sept. 12.